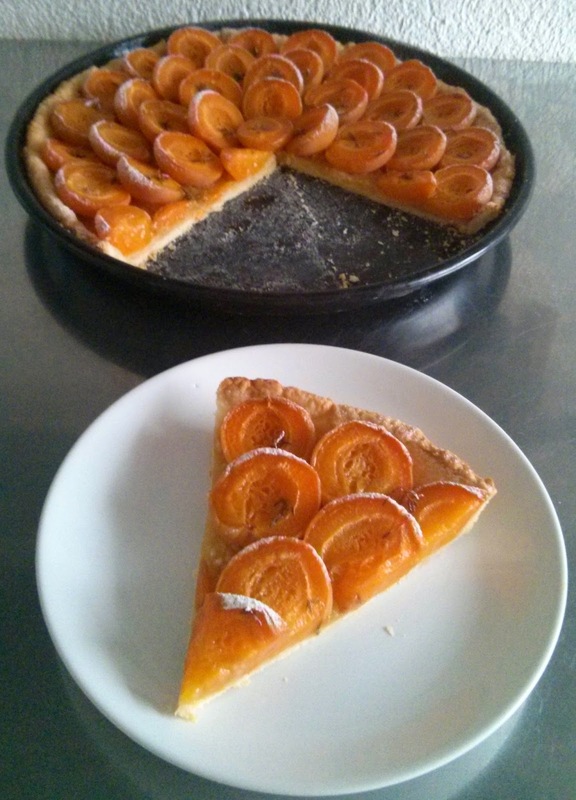 Yesterday was my birthday so I prepared an apricot tart with thyme-infused honey to celebrate it. 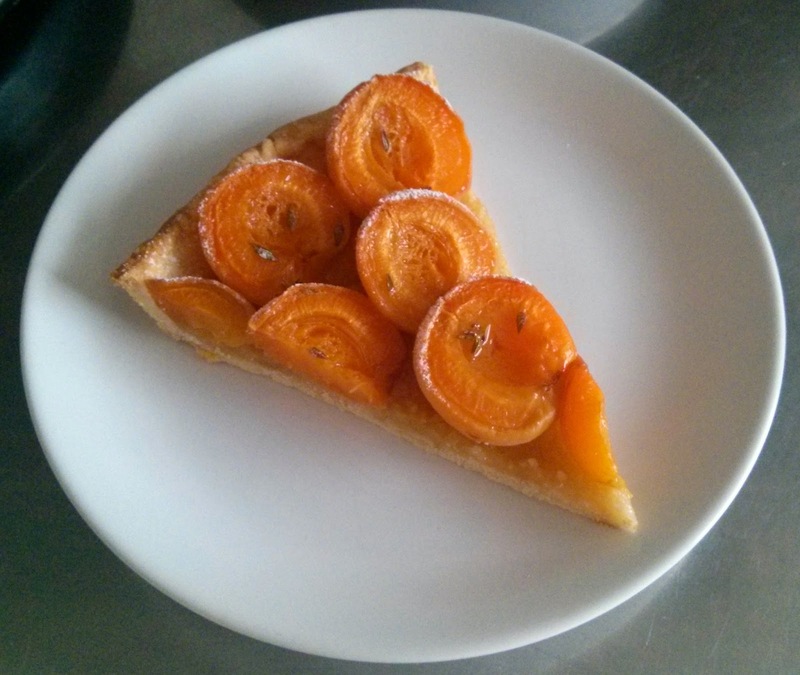 I had read about combining thyme with apricots in a few recipes so I thought I would try this combo along with honey. 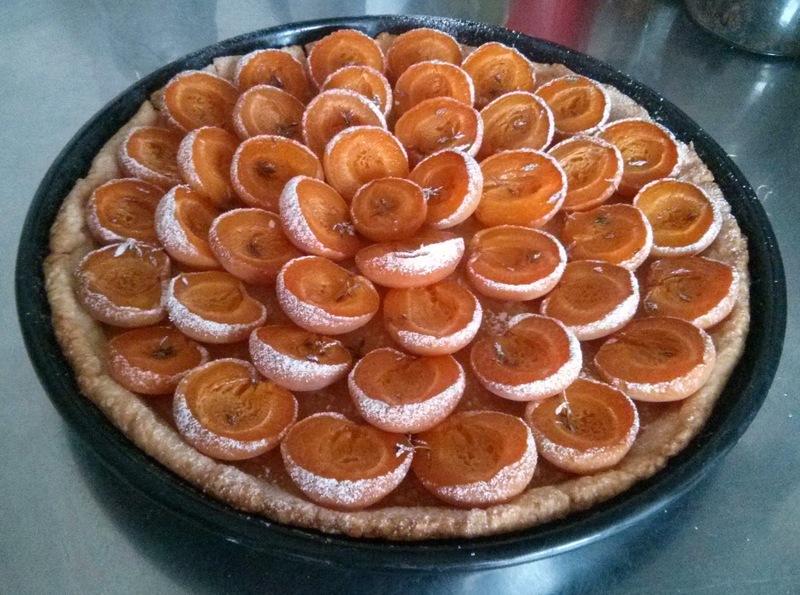 Apricots are very popular in Switzerland during Summer (well it is technically Winter this week here) and I have lots of thyme in the balcony. 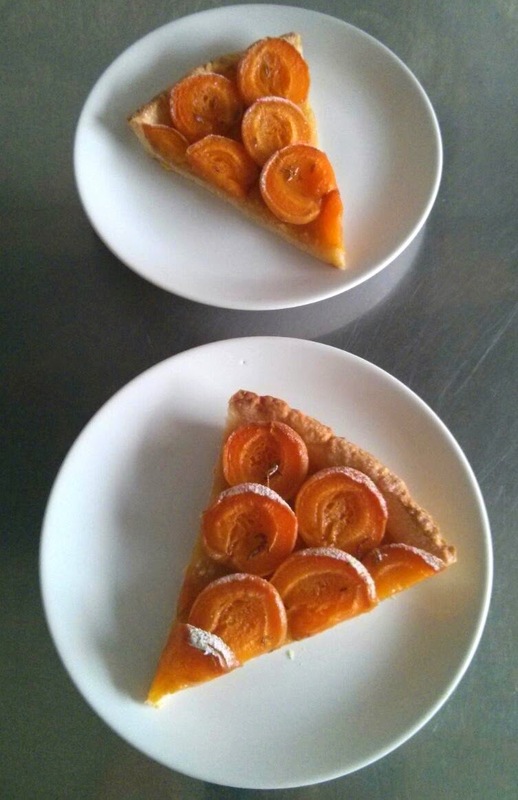 I made a simple pâte sablée crust (home-made shortcrust dough is so good! 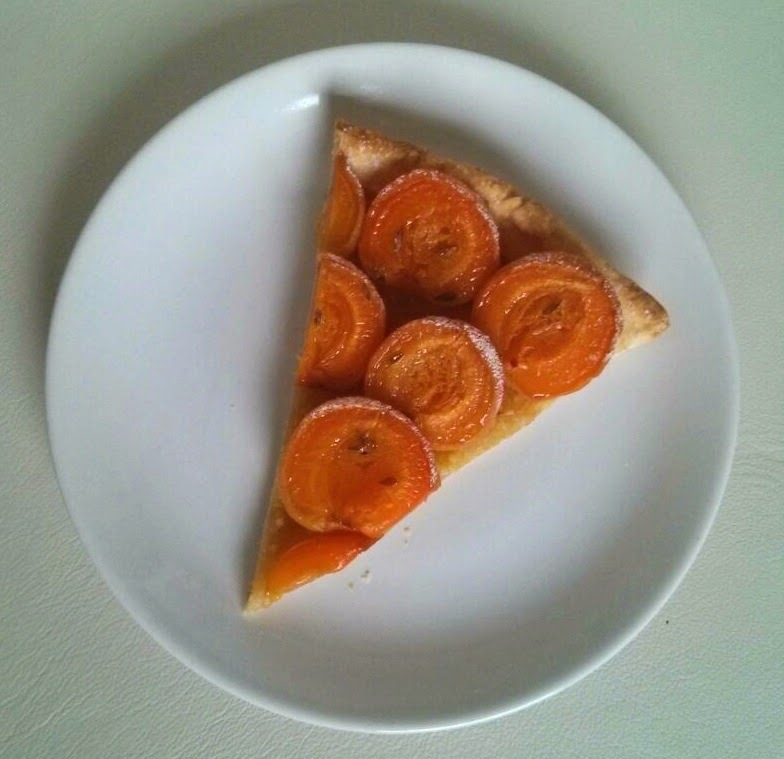 ), covered it with some ground almonds, added apricot halves, and finally glazed it all with thyme-infused honey and some thyme leaves. 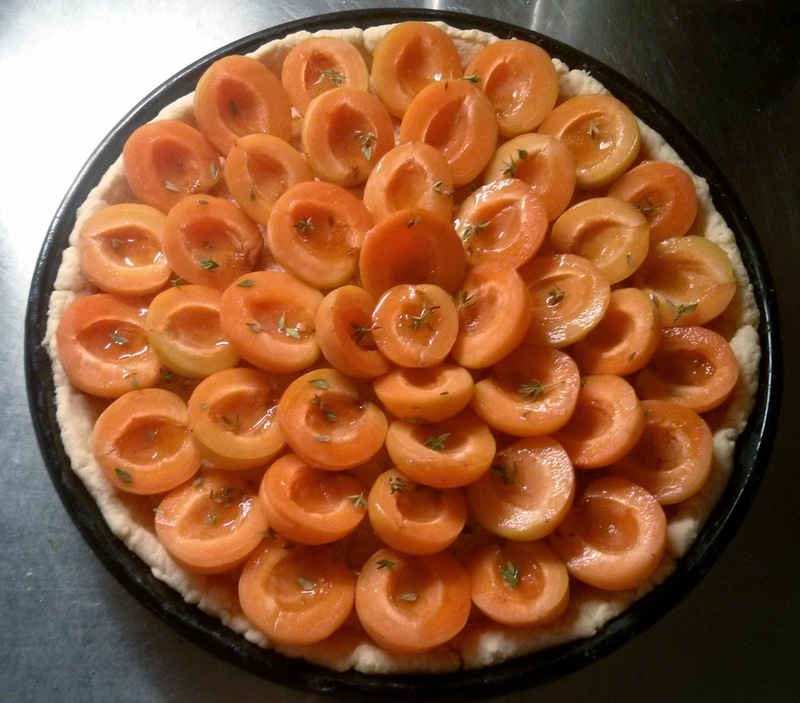 It's a very simple recipe and is great with fresh apricots. 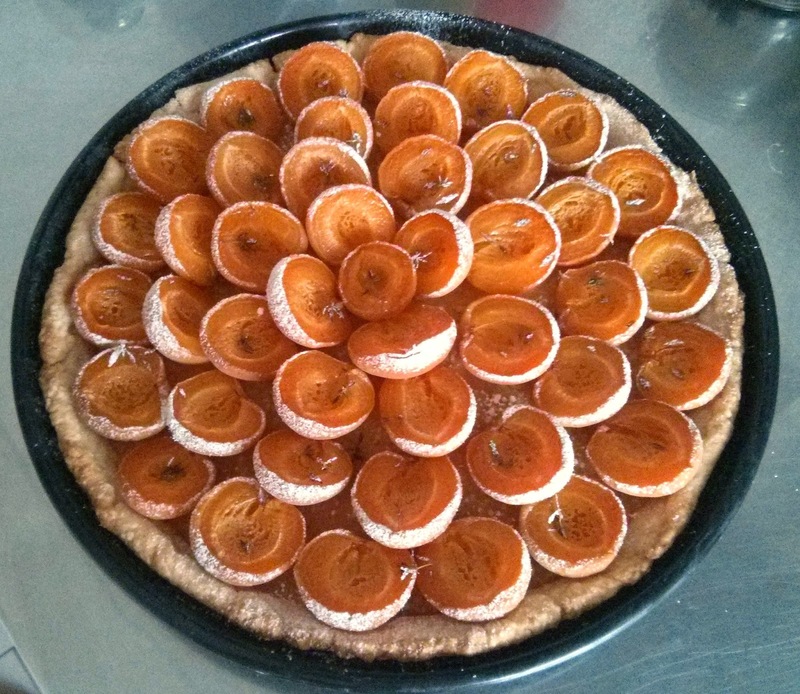 If you want to make it more simple, you can skip the thyme and honey and instead sprinkle sugar on top of the apricots before baking. Mix butter and flour by making crumbs. Add all other ingredients and mix fast into a dough. Refrigerate for at least 30 min (the longer the better). 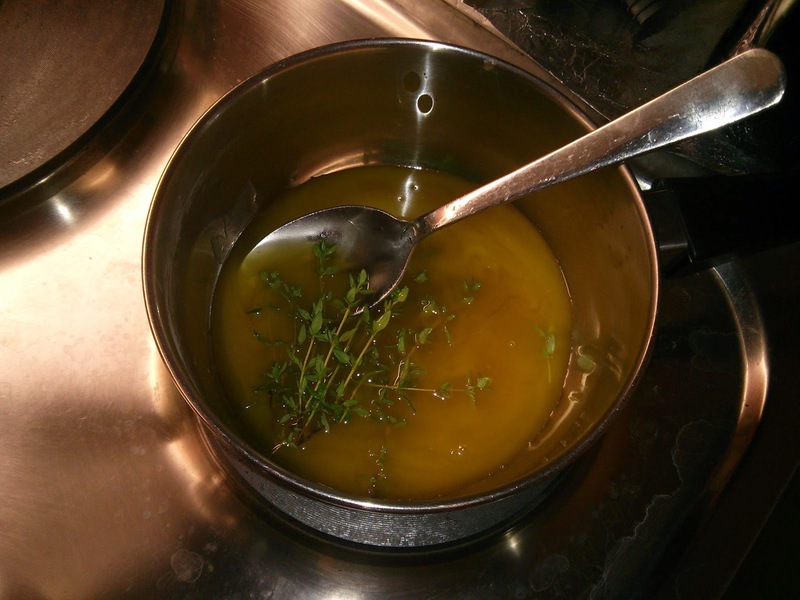 Heat up the honey with some of the thyme branches in a saucepan in order to infuse the honey with thyme aroma. Roll out the dough onto a (very) floured table (flip the dough several times so it doesn't stick to the table) and transfer to a buttered + floured tart form. Prick it with a fork and pre-bake 10 min at 200 C.
Cover the dough with ground almonds. 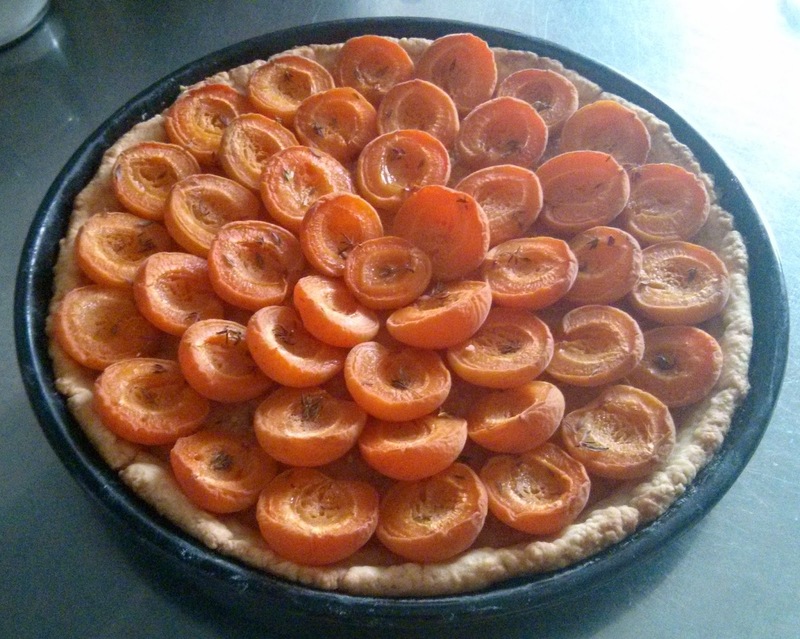 Cut the apricots in halves and place them as to make a flower (see picture, with the interior up). 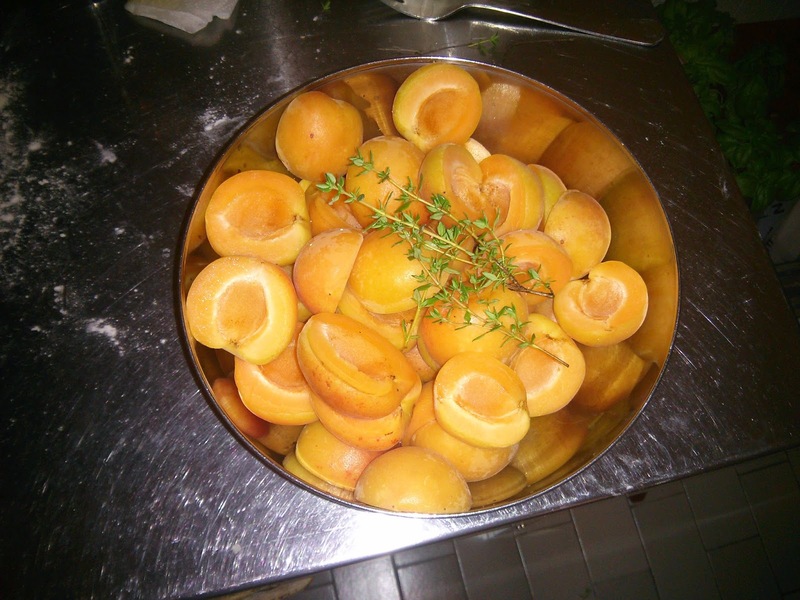 Glaze the apricots with the thyme-infused honey and sprinkle some thyme leaves on top. Bake for 30 min at 200 C.
Let it cool down and then sprinkle powder sugar on top.